Unique Contemporary Graphics by Bernard Stanley Hoyes. 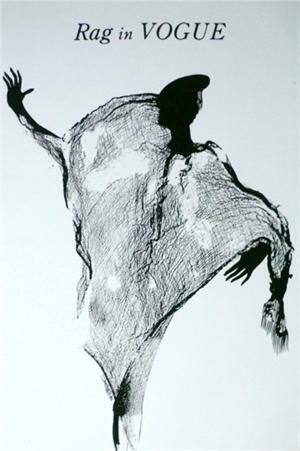 Rag impressions reflect ancestral connections to contemporary life. Done in a spontaneous technique. A rag laden with ink is cast onto paper as a fisherman would cast his net in the sea. When lifted a print remains suggesting and delineating forms, mass and movement. Details added by the artist free the images into compositions with vitality and power.